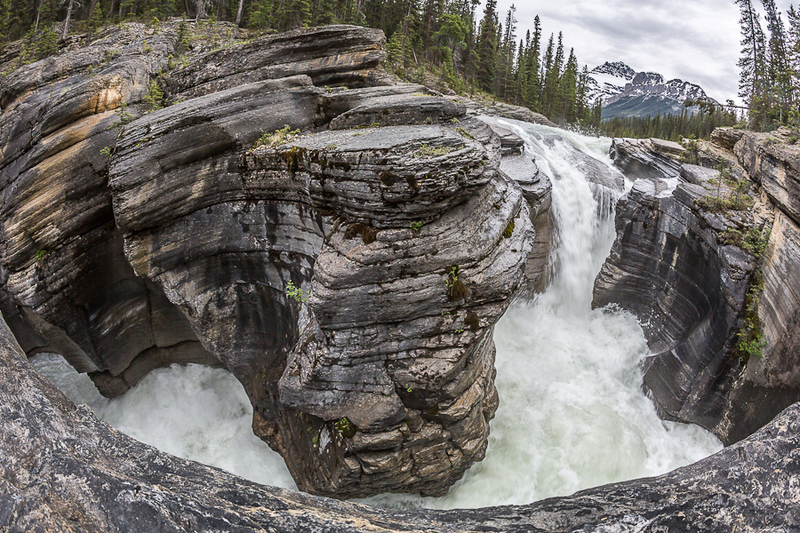 Banff National Park is not only Canada's first National Park, but it also gave birth to the National park system. 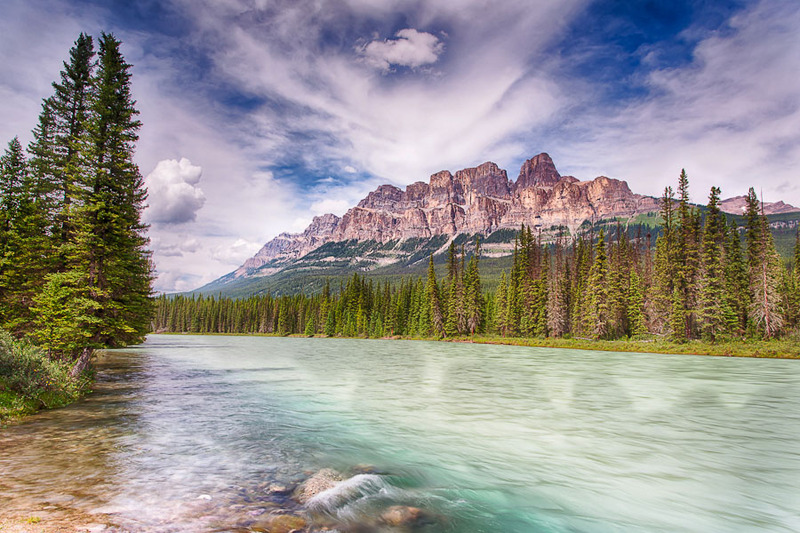 The scenery in Banff is enough to take your breath away. With it's towering snowy peaks, sapphire waters, and lush meadows abundant with wildlife, Banff is filled with postcard perfect images. The Canadian Rockies in Banff National Park emerge sharply up through the landscape, and tower as high as 11,850 feet overhead. The mountain range has a sprinkling of glaciers, and gorgeous blue lakes are seemingly around every corner, so you better pack those extra memory cards! 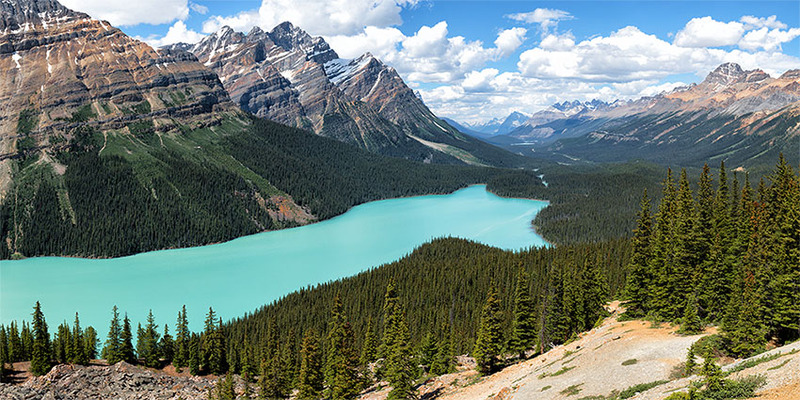 We'll be visiting some of those iconic mountain landscape stunners, such as Lake Moraine, Bow Lake, and Peyto Lake, just to name a few. 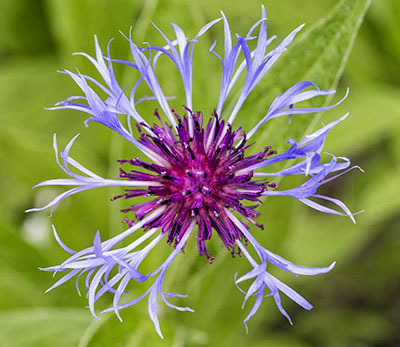 We will also show you some hidden gems, along with the potential for some exciting wildlife. Along the Bow Valley Parkway it's common to see Black bear, Grizzly bear, Elk and Moose. 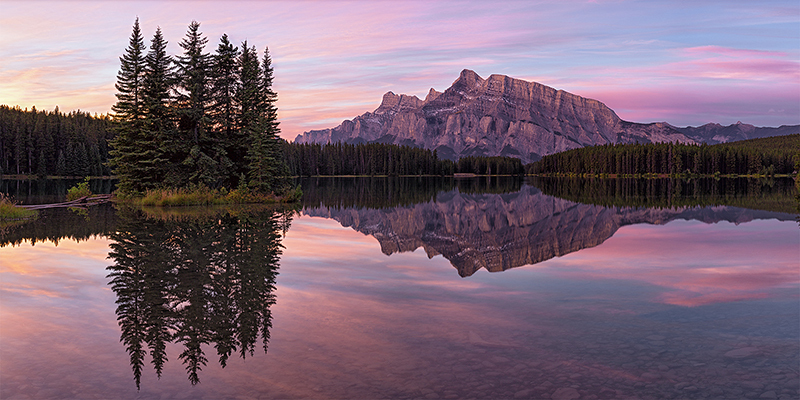 The Canadian Rockies is truly the perfect place to expand your photographic skill set. This workshop was designed by photographers, for photographers. With that in mind, we've painstakingly designed an itinerary that maximizes your opportunity to capture professional quality images. 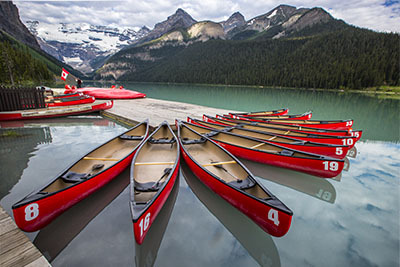 Our main focus will be Landscape, including, Lake Moraine, Lake Louise, Bow Valley, and Peyto Lake, just to name a few. We'll also have ample opportunity for some Canadian Rockies Wildlife. Pack that long lens because there is a very good chance of seeing Elk, Bears, and Moose. We designed this trip with these three things in mind: Photography, Comfort, and Learning...oh and Fun! Guess that makes it four things. While thinking of these things, we decided to limit the group size to 12. With 2 instructors, and comfortable transportation, we'll keep the ratio low, the comfort high, and most of all the learning experience maximized. We'll be headed to the Canadian Rockies for some of the best conditions the region has to offer. Gorgeous weather, a sprinkling of fall colors, smaller crowds, active wildlife, and did I mention the photographically fantastic conditions? Sunrise and Sunset are at a civilized hour (unlike summer, when days are extremely long), and mosquitoes have all but died off. 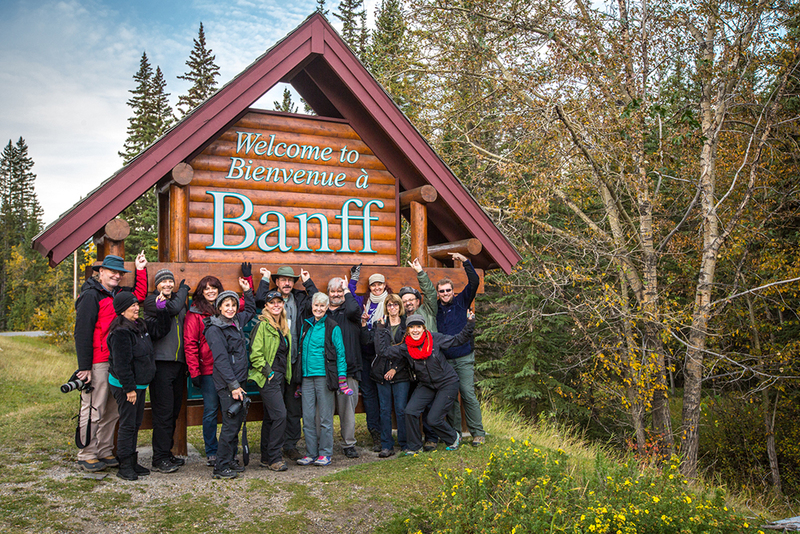 It's hands down, the best time to visit Banff and there are so many amazing places to visit! We will depart each morning well before sunrise to allow plenty of time to arrive at our first location of the day and setup. After sunrise we will visit at least one other location before returning to our accommodations. Each afternoon we will depart after break in search of wildlife and the best afternoon light for photography and learning. We will arrive at our chosen sunset location and photograph until the sunlight has gone down. We will be in the field approximately 5-7 hours each day, depending on weather and light conditions. 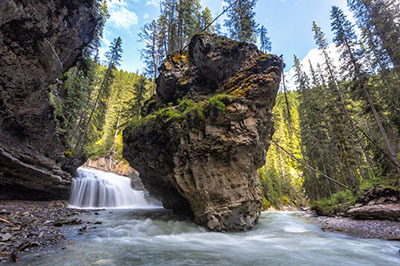 Given the dynamic conditions of the Canadian Rockies, locations are often chosen last minute based on changing weather conditions to help ensure the best possible conditions for each location in order to maximize quality photographic opportunities. 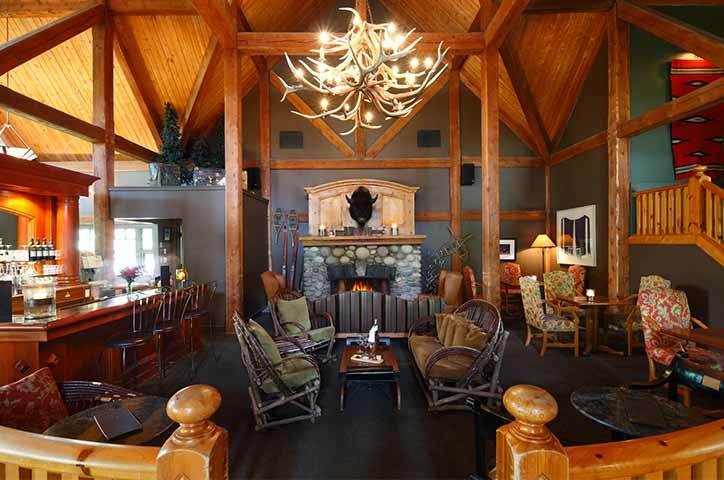 We will be lodging at the The Buffalo Mountian Lodge. No detail is overlooked and your every need catered to while we lodge in these luxury accommodations -- there is no better way to see the Canadian Rockies! You will be flying into Calgary, Alberta International Airport (YYC). A travel site like www.kayak.com can be a useful tool for finding the lowest fare and booking online. You will need a Passport to travel to Canada. Meet our master instructors and learn what qualifies them to give you a great experience during your workshops! While you're joining us, you will receive comprehensive digital photography instruction and tutoring by our team of award-winning photographers. 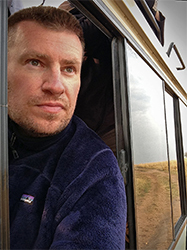 Stephen W. Oachs is an award-winning photographer, successful entrepreneur and technology veteran, who began his journey in photography the moment he picked up his first camera. Completely self-taught, Stephen's unique and distinctive style has earned him recognition as one of today's finest nature photographers. He was recognized in 2007 as wildlife photographer of the year by the National Wildlife Federation and was awarded best nature photographer in 2008 by National Geographic. Stephen has received many other awards and achievements. 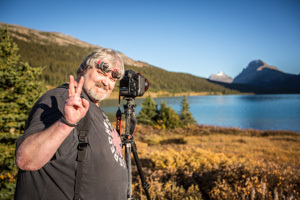 His work has graced the pages of such notable publications such as National Geographic, Popular Photography, Outdoor Photographer, National Wildlife Magazine and many others. 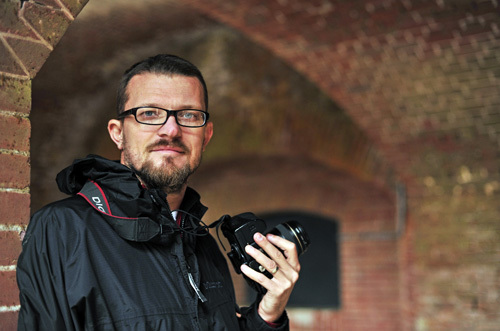 In 2009 Stephen founded The Aperture Academy, a unique combination of fine art photography gallery in conjunction with classroom and workshop instruction. Students of the Aperture Academy receive hands-on instruction designed for their individual skill levels, which includes everything from learning to shoot in the field to digital post-processing techniques. Whether trekking through the wilds of Alaska, enduring the raw challenges of nature or experiencing the thrill of life on the edge, Stephen captures rare and breathtaking moments of light and time. His exceptional eye is filtered only by his passion for life, deep affinity with nature and love of adventure. 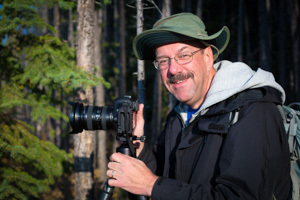 Brian is an acclaimed landscape photographer who has taught photography and art for two decades. His work has appeared in numerous galleries, magazines and newspapers, and he has received awards at the national, state and local levels. His students have also won awards for their work. Brian's passion for photography is evident in every image. His talent, education and background guide his use of color, composition and balance in ways that maximize the aesthetic values of his superlative images. His principle philosophy is that of complete immersion into a subject. This applies to his photographs, students, and writing. He is currently working on several photography-related books. Note: In the event a scheduled instructor for a particular workshop is unavailable, a replacement instructor will be scheduled. While we make every effort, there is no guarantee that the assigned instructors for a scheduled workshop will be present. → The cost includes all accommodations (based on double occupancy), during trip dates, upon your arrival to Canada. Single room supplement is available (see pricing tab for info). All transportation during your workshop dates, all park entrance fees, water and energy bars during in-field transportation. Of course all your photography instruction and photo editing instruction is included as well. → International arrival and departure flights to Calgary, Canada. Fees to obtain a Passport; baggage fees; instructor gratuities, personal expenses such as room service, alcohol, or additional beverages, laundry, phone service, activities or meals not listed on the itinerary. Travel insurance (strongly recommend). What type of camera equipment do I need? 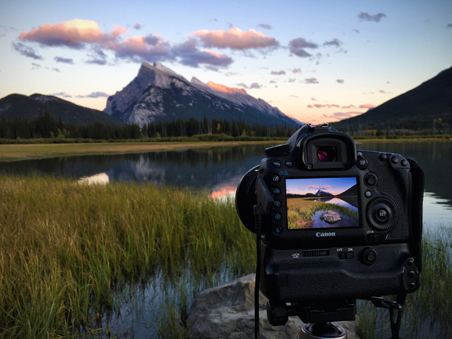 → To get the most of your images a good quality DSLR or Mirrorless Camera is strongly suggested. Single point-and-shoot cameras often result in disappointment and frustration. We'll be capturing amazing landscapes, and wildlife as well. Therefore a focal range of 24-105mm is ideal for landscapes, while a longer lens of roughly 100-400mm is needed for wildlife (longer is okay, if you have it). Prime or fixed lenses are great and will give you the best quality all around. Wide- angle lenses can also be utilized for some of landscape locations and night shooting if applicable, a 16-35mm is the ideal lens, but somewhere in that range works as well. If you don't have any lenses in this focal range we recommend companies, such as borrowlenses.com. Circular polarizing filters will help tremendously and neutral density filters can be utilized as well. A sturdy, but lighter weight tripod is a necessity, especially if you have a large lens. At times we may be photographing wildlife in one location for more than an hour, so holding a big heavy lens can make you tired. 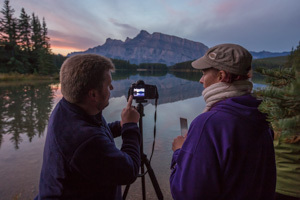 Also, a tripod is essential for the longer exposures needed at sunrise and sunset. If you tend to be heavy on the trigger finger, make sure you bring sufficient memory cards. Multiple 16gb and 8gb cards are a good idea, as is an external hard drive to back up your images (500gb minimum), with your laptop. If you want to view your images, get feedback and photo editing skills, your laptop is a must have. Need Gear? Visit BorrowLenses for a special package designed specifically for Aperture Academy students for this workshop. Is this a tour or workshop? → It's a mix of both. We do expect you to be familiar with the basic settings of your camera, because you don't want to be fiddling around with how to set the exposure when the light is off the charts and fleeting by the second - that would probably not be the best situation for getting the "shot," nor for learning. 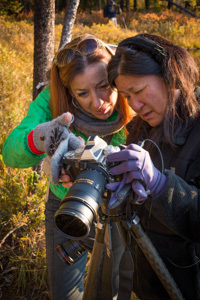 However, our instructors will be available in the field with suggestions about exposure, composition and technique; but in general, it's best to come with a working knowledge of your camera gear. If you're unsure, we highly recommend you sign up for one of our one or two day landscape workshops prior to taking this trip. Once back at the hotel though, we have options that are more of a workshop format, and we can offer you image critique and post processing skills. What is the currency in Canada? → Canada has it's own dollar with roughly a .9 exchange rate (changes daily). Every place we visit will take the US dollar and credit cards with no problem, so no need to exchange currencies. If you're traveling from outside the USA, it may be a good idea to exchange currency before your trip, or at the airport, upon arrival. What type of food will we be eating? → The food is just the same as in the US, right down to the McDonald's and Subway's. We will provide granola bars/snacks in the van during our outings, so if you have any special needs or allergies, be sure to let us know. Are there any baggage limitations during the trip? → Airlines put a limit of 50lbs on your checked bag, so we like to stick with those guidelines for your clothing bag. Please be sure to keep your luggage to just one suitcase per person and one camera bag per person. Camera gear can get heavy so as photographers we completely understand this. We always recommend carrying on your camera gear if at all possible. See airline regulations for size/weight restrictions. → Weather in the Canadian Rockies can change rapidly (as with any mountain region), so preparedness is the key. I like to say that the mountains invented layering. On this trip, layering is your best friend. Mornings can be in the 30's, so frost is possible and even commonplace. There is the possibility of snow any month of the year in the Rockies. Be prepared with gloves, hats, and scarves, and a nice warm jacket. The afternoons will warm up into the 60's. Did we mention that you'll need to layer? I plan on traveling alone. Do I need to bring someone? → No, you don't. However, tour price is based on double occupancy, so we will place you with other solo travelers of the same gender. However, if you prefer your own room, we can make arrangements for single accommodations for a supplemental charge. → YES! We recommend purchasing travel insurance to cover any non-refundable registration fees, travel, lodging, equipment rental or any other related expenses. Some of us at Aperture Academy use Travel Guard for our travel insurance needs. Do I need a passport to visit Canada? → Yes, you're traveling to another Country, so a passport is required. They are easy to get if you don't currently have one. Just allow 3 months for processing time, to be on the safe side. Generally it takes about 4-12 weeks to receive a your passport, after mailing in the appropriate paperwork. Do I need vaccinations to visit Canada? → If you're worried about it, then the answer is yes. You can find the most current information at; http://wwwnc.cdc.gov/travel/destinations/traveler/none/canada Or simply contact your physician, or primary health care provider. It's not required and most don't get any types of shots or vaccinations, and are perfectly fine. It all depends on you and your own health and level of concern. No problem! We are happy to answer them: Email Us! or call (408) 369-8585. Please Note: Returning student discounts are not applicable to Sojourn Series workshops. I have been on a few photo workshops but this was my first with Aperture Academy and it was, by far, the best. The venue, the organization, the hands-on instruction was superb. It didn't hurt to have two most pleasant people leading the workshop. Not only did I learn new stuff, it was a most beautiful place to visit and the whole group dynamic was wonderful. I will be back. Thank you! I have done a number of 2 day workshops, this is my third Sojourn. I would strongly recommend Aperture Academy. In Banff, we did not always have great weather on our side, but Stephen and Ellie worked hard to get us in the best position. Persistence was a good lesson Banff. I also learned the importance of scouting for potential shots. Banff is a great location, much different than the Colorado Rockies. I've been on quite a few photography workshops over the years. This was by far the best workshop experience I have had. 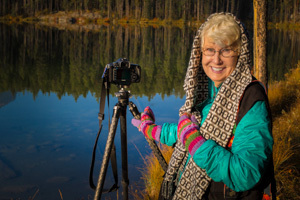 The pristine and beautiful countryside, luxurious lodgings, fun workshop attendees, and awesome instructors made this a photography adventure that I will never forget. I can't believe the knowledge I gained and images I captured. Thank you so much Stephen, Ellie, and Aperture Academy for the Banff and Lake Louise memories I will always treasure.